-Contributed by Emily Gainer & Rhonda Rinehart. Welcome to the first installment of Book of the Month! The CHP is excited to launch a Book of the Month feature that spotlights our special collections. The selection might be rare, have a special story, or be important to the history of psychology. Whatever the case, the selection will be interesting and generate discussion! Check back at the first of each month for the next title. February’s spotlight is on The Elements of Mental and Moral Philosophy, Founded upon Experience, Reason, and the Bible by Catharine Esther Beecher. The CHP copy of Elements was digitized in partnership with the American Psychological Association and is available online in the Repository. The title page of Beecher’s Elements (1831). Notice the scratched out text above the Roman numerals. 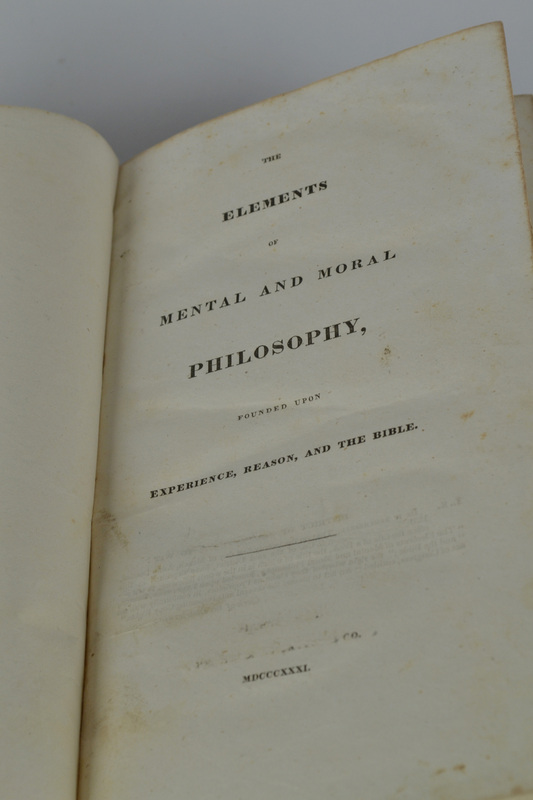 Printed in 1831, Beecher’s Elements is a work of substantial importance to historians of philosophy and psychology. 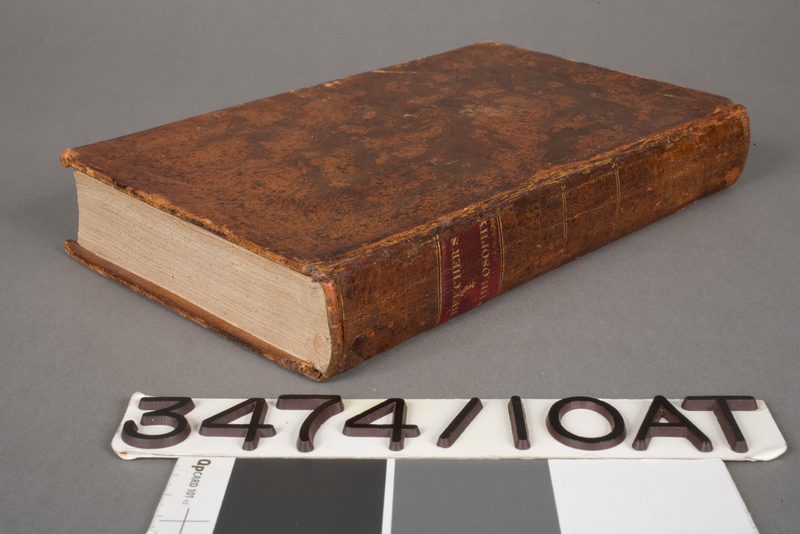 It is one of the first philosophical works to use a psychological analysis to understand theological issues, and it is considered the first psychological treatise written by an American woman. Catharine Beecher, an early educational reformer who lobbied for the employment of women in the education system, wrote Elements for her students at the Hartford Female Seminary. This particular work is extremely rare. 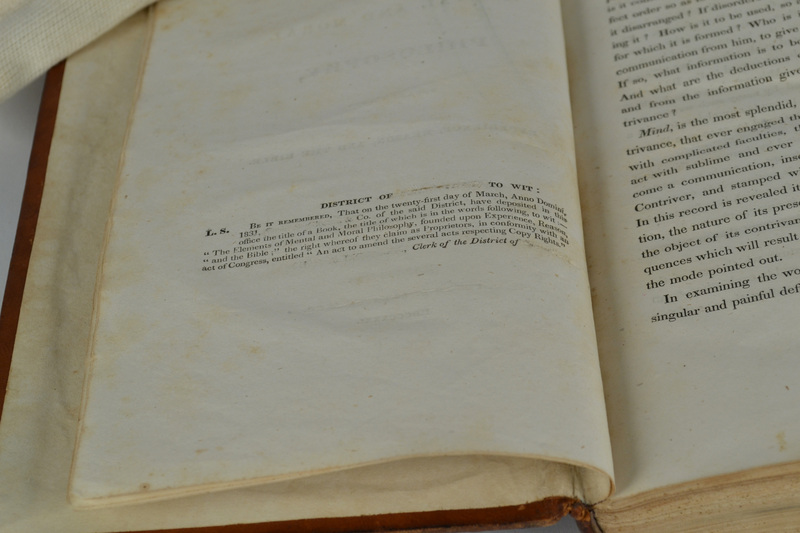 At a time when female authors, particularly on these subjects, were almost non-existent, Beecher was not confident about the book’s reception, so she had it printed, bound and then erased her name from the title page (see photographs above and below). Back of the title page of Beecher’s Elements (1831). All author identification was erased from the book. CHP’s copy of Elements was repaired through an IMLS American Heritage preservation grant in 2010. 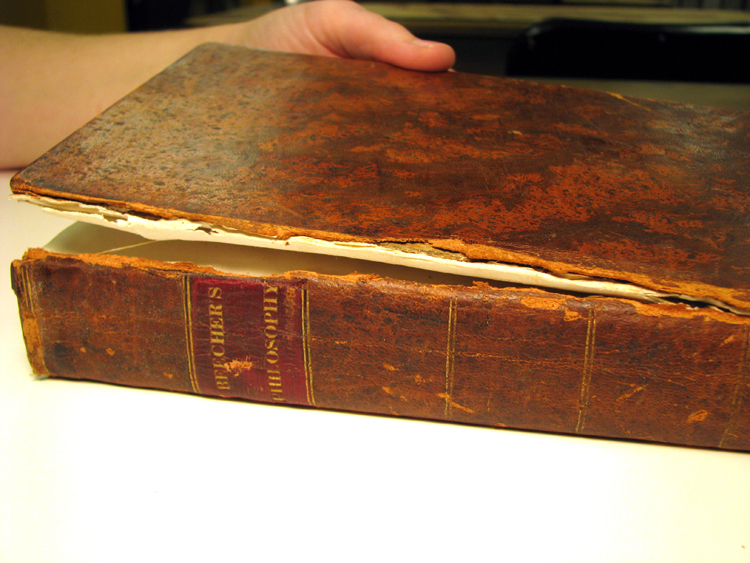 Conservators at the Intermuseum Conservation Association repaired the spine to ensure long-term preservation of the book. Of the 21 published works authored by Beecher, CHP has three: Common sense applied to religion, or, The Bible and the people, 1857; Letters to the people on health and happiness, 1856; Physiology and calisthenics for schools and families, 1856. What’s a Book of the Month without some discussion? Feel free to discuss the book, the author, the history, etc. in the comments section below.